This deep mixing bowl will quickly become a staple in your kitchen. 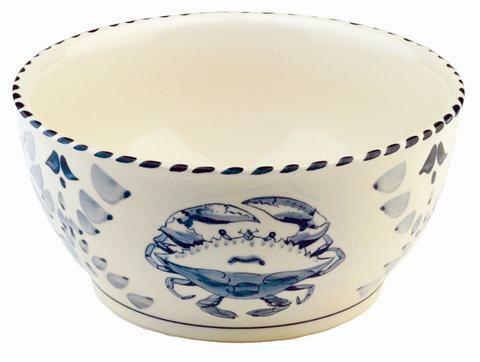 Our Blue Claw Stoneware mixing bowl features a lovely design anchored by a blue crab and bordered by grapevines. This bowl is microwave and dishwasher-safe as well as lead-free and oven-safe to 400°F.